Musician Mowzey Radio has passed on this morning from Case Clinic where he was admitted following a bar fight. File photo. 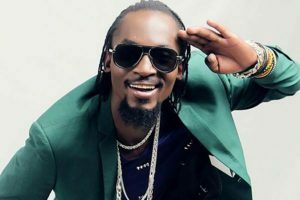 The supervisor of De Bar, a popular hang-out in Entebbe town, where deceased entertainer Mowzey Radio, was allegedly beaten from has been arrested. A police source who preferred anonymity said the suspect was arrested on Thursday to help police in their investigations. This brings to three the total number of suspects in police custody. “Last week, the bar owner, Mr George Egesa and his friend, Mr Xavier Rukere were arrested to help us (police) in the course of our investigations,” the police source said. The source said a police file will be submitted to the Resident State Attorney for advice on the charges to be preferred against the trio as the search for Troy Wamala, the bouncer who allegedly beat Radio continues. It is, however, not clear whether more arrests will be made but the source said police are in the process of contacting Interpol and Aviation police to be on the lookout for Wamala in case he tries to leave the country.